Running through GRIEF and matters of the HEART | Don't mention the M word! 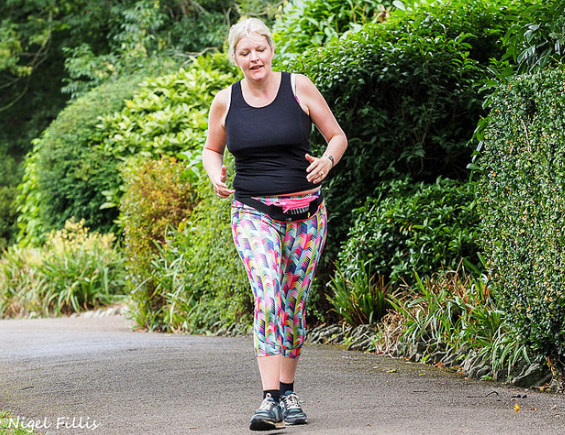 Today I ran 5K in 28.33, my fastest time ever at parkrun in Shepton Mallet – yay! This journey started at 40.32 (for 5K at parkrun) precisely a year ago when deep in grief from losing a parent, along with something I loved/trusted disintegrating and impossible to recover due to exposed mistrust.I felt ill, physically and mentally distraught. I found a way through it with one foot in front of the other, a step at a time. When I started I could barely put one foot in front of the other mind you, so very stiff from 40 odd years of no consistent exercise! I am not a runner, but now I run (along with other physical pursuits) 4 to 6 times a week because of the benefits to my mind. Now it translates to my present and my future – which is opening up to something else – a better me that is creating much more than what I had at the beginning of this tale and what I never imagined was possible. Thank you to my family, friends and running community at Shepton Mallet parkrun for invaluable love, support and inspiring me to keep on going. I will be doing a talk at Wells Festival of Literature explaining why this all worked for me and why it could work for anyone going through tough times or if you simply want to solve problems. Running through GRIEF and matters of the HEART delivered as part of Write Up! Speak Up! 7pm, Sunday 21 October, Wells Festival of Literature. More details here of the Wells Lit Fest event Write Up! Speak Up! Thank you to Nigel Fillis for the photo. Previous PostSetting your bar to your own personal motivationNext PostGetting ready to speak up, just not about weight!